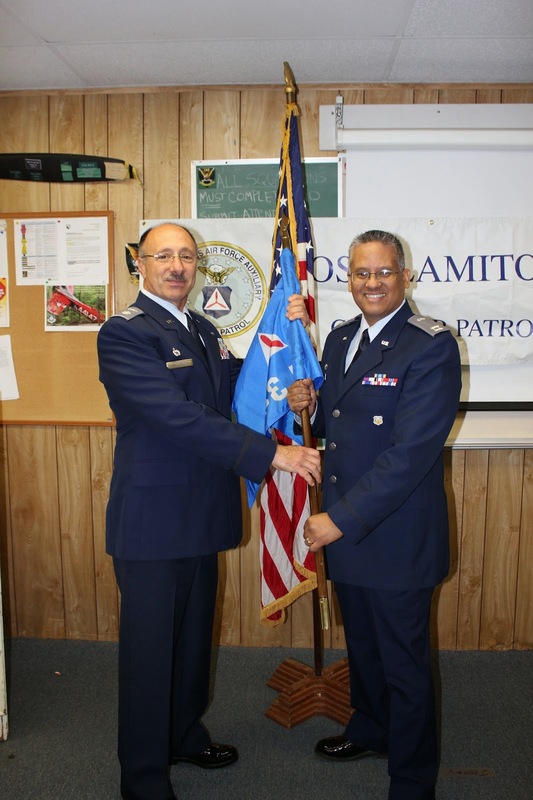 01/22/2015–LOS ALAMITOS, CA–The Long Bench Senior Squadron 150 of the Civil Air Patrol California Wing held a formal Change of Command ceremony at the Joint Forces Training Base CAP facility, CA. California Wing Group 7 Commander Lt. Col. Robert Calderon presided over the ceremony, where command of the unit was transferred from Lt.Col William H. Phinizy to Capt. Lloyd Bumanglag. Col William Phinizy has commanded the squadron for the past 3.5 years and has grown the squadron to its current level. 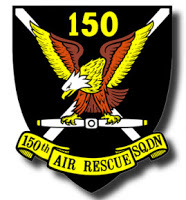 In addition, under his command Long Beach Senior Squadron 150 was awarded South Coast Group 7 Squadron of the Year award. Lt.Col William Phinizy stated, “While I am looking forward to a quieter life and more project-orient participation with CAP and Squadron 150, it has been an incredible honor and privilege to work with these fine men in this unit for the past three and one-half years. It is, without a doubt, the best senior squadron in the California Wing”. Attending the traditional, “Change of Command” ceremony was Los Alamitos Mayor Richard Murphy and City Council member Dean Grose, Aliso Viejo Mayor Pro-Tem Mike Munzing, Orange County Sheriff’s Department Reserve Division Reserve Lieutenant Michael Losquadro, and Director of Professional Services Responders Richard Revis. Bumanglag then addressed the squadron, “….Though it is important to maintain continuity, it is just as important to welcome change. I welcome the challenge and I look forward to serving alongside each of you and enhancing the proficiency and advancement for our Unit and the mission of the Civil Air Patrol”. After the ceremony, guests, family members, and dignitaries had a chance to celebrate with the squadron members over some food and refreshments. Civil Air Patrol, the official auxiliary of the U.S. Air Force, is a nonprofit organization with more than 60,000 members nationwide, operating a fleet of 550 aircraft. CAP, in its Air Force auxiliary role, performs 90 percent of continental U.S. inland search and rescue missions as tasked by the Air Force Rescue Coordination Center and is credited by the AFRCC with saving an average of 80 lives annually. Its unpaid professionals also perform homeland security, disaster relief and drug interdiction missions at the request of federal, state and local agencies. The members play a leading role in aerospace education and serve as mentors to nearly 26,000 young people currently participating in the CAP cadet programs. CAP received the World Peace Prize in 2011 and has been performing missions for America for 71½ years. CAP also participates in Wreaths Across America, an initiative to remember, honor and teach about the sacrifices of U.S. military veterans. Visit www.gocivilairpatrol.com or www.capvolunteernow.com for more information.